WE WILL ALWAYS DO EXACTLY AS WE SAY WE WILL DO AND BE AS GOOD AS WE SAY WE ARE. – EVERY TIME ! At Top To Bottom Home Improvement Company we specialize in all types of roof repair work, ice damn prevention, roof inspection, roof cleaning and new roof installation Asphalt and Metal all at AFFORDABLE PRICES. When floors slope, doors don’t close correctly, and plaster or drywall cracks develop in upper walls, beam replacement could be the answer to your problems. 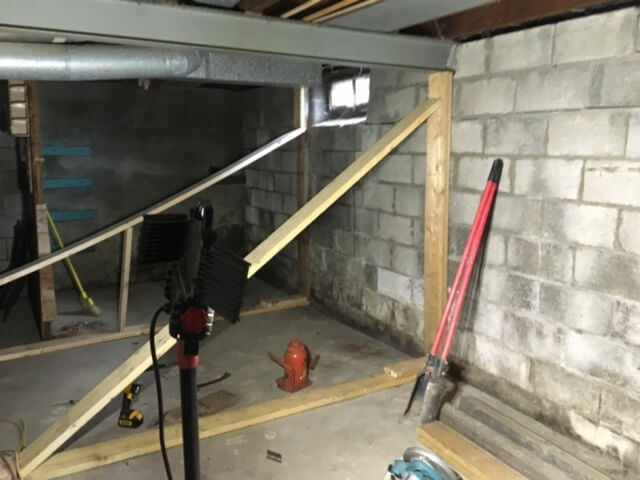 We can replace old, deteriorated wood beams with new high strength steel beams or pressure treated wood, and jack your floor back to a level position. We install, service and repair wet basements. call John at Top To Bottom, Rochester NY’s professional basement waterproofing contractor. Free Wet Basement Inspection & Estimates. Foundation Repair / Structural Repair. Most homes are insulated in all exterior walls as well as the attic and any floors that are located above unfinished basements of crawlspaces. The most effective places to add insulation to older homes are often attics, basements and crawl spaces. Water causes more damage to masonry chimney’s than fire. Think about it, all brick and other materials that make up your home are protected by the roof and eave, except your chimney. Masonry deteriorates quickly when exposed to the freeze/thaw process. For many of us, our home is the largest, most important investment we will make. 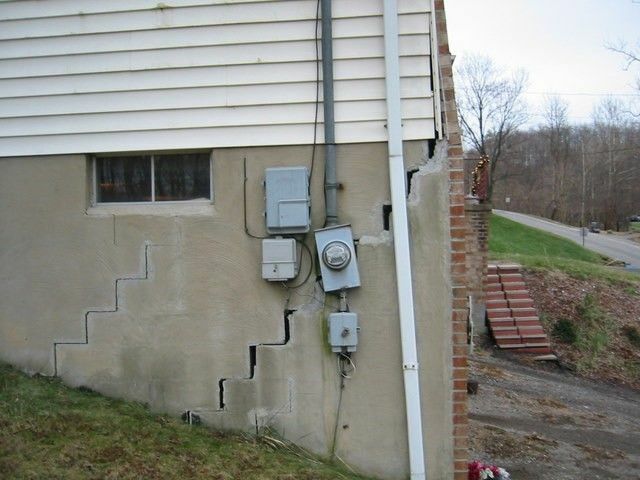 Foundation problems can threaten that investment by causing serious structural damage that reduces a homes value. We are the experts in Basement Waterproofing, Roofing, Chimney Repair, Foundation Repair, Mold Removal, Interior Drainage, Exterior Drainage, Structural Jacking & Bracing, and Roof Ice Snow removal. 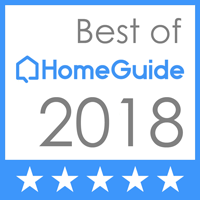 Top to Bottom Home Improvement Company LLC in Rochester NY is committed to total customer satisfaction, professional honest service, quality products and workmanship. We only use top quality materials and our work is protected under fully explained warranties. We value the fact that an emergency can happen at any given time. It could be in the middle of the night, or when your away on vacation. Top To Bottom is always available to tackle any emergency that may occur to your home with top quality workmanship and honest dependable service. 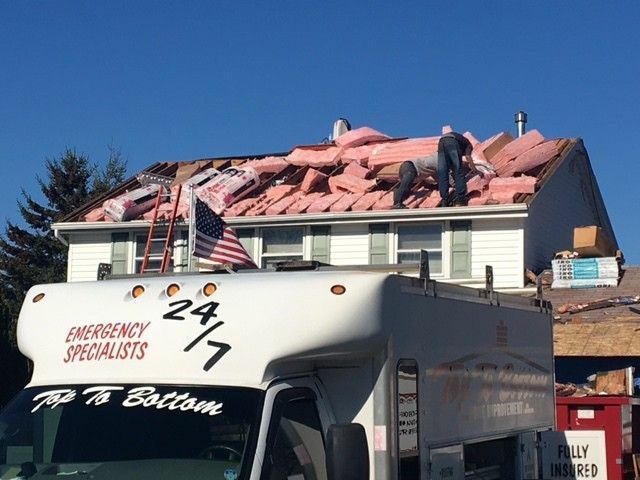 We understand how important it is to have a roof over your head that doesn’t leak, and we also understand how important it is to not have a flood in your basement. Don’t hesitate to call us at any given time, because an emergency is just that, an emergency. You can’t afford to wait till the next day, or having to wait hours for a call back. Your home is precious to you and your family, and we know that you want to keep it that way. Remember the longer you wait the worse a problem can become. We are here for you 24 hours a day!